So there is Bartimaeus calling to Jesus in his beggarly blindness, “Jesus, Son of David, have mercy on me!” And they “shush!” him; maybe they smack him on the back of the head as they do. Who knows? Jesus: What do you want. Jesus: Go, your faith has made you well. Actually, as miracle stories go, the only interesting thing in this one is the important detail about the disciples who try to shut Bartimaeus up, and who call him when told to by Jesus. It is no surprise that Jesus gives the blind man his sight. Within the narrative thrust of the Gospels, this is to be expected. And in this case, he has not argued with the Pharisees, he does not spit in the dirt to make mud, he does not forgive Bartimaeus his sins, or do anything very interesting. Do you realize how often it occurs in the Gospels, that you would think Jesus could very well do something on his own, and yet he relies on his disciples to do it – even something as basic as calling a blind beggar to him? There is a reason Jesus does this. He is trying to teach his disciples (while he is still with them) that no one else is going to do the things he calls them to do, and if they don’t do them, they won’t get done. No one else was going to get that blind beggar to Jesus. Now, they didn’t even think that that was a task worth doing, so the lesson is a two-tiered one for them. Yes, Jesus could have done it himself, but time and time again we see him rely on his disciples. Because soon enough he will not be with them, and who will do it then? We do it because it is good for you and for me. It’s good for us to think through our commitment to the church, her work and mission, and how much we want to support that work. And we very much hope that it is a matter of wanting to do it for everyone who does. We do it because it is helpful in our budgeting to know what we can count on coming in next year; and the discipline of making a promise helps most of us stay consistent, more or less, in our giving. And we do it, whether we realize it or not, because no one else is going to. 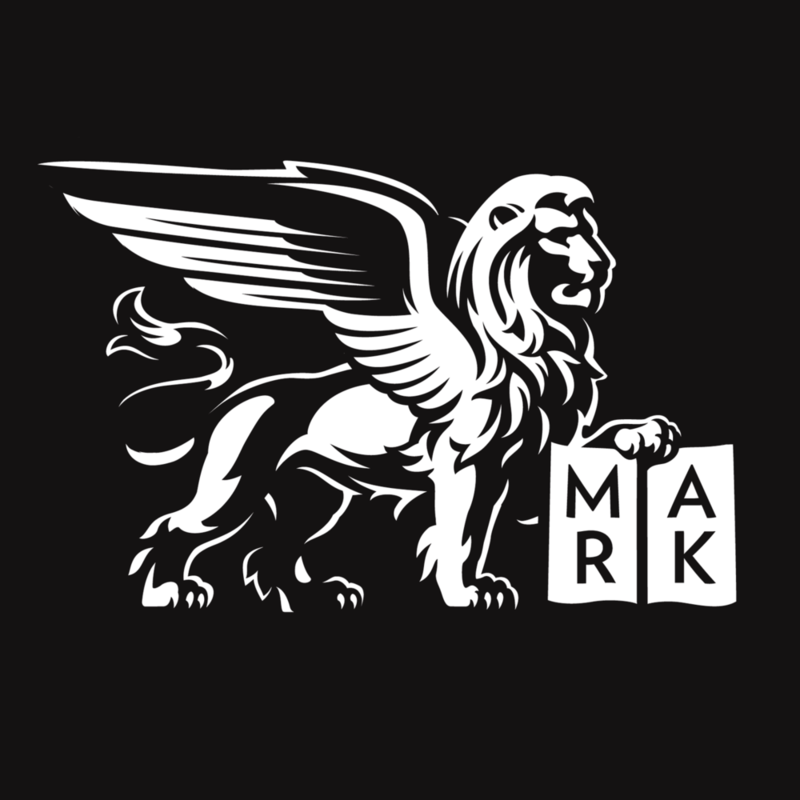 No one else is going to make the precise commitment you make; no one else is going to keep it in the same way; no one else’s money is going to accomplish what your dollars are going to accomplish at Saint Mark’s. This is a lesson not just about giving, but about all ministry, about just being a part of the church. No one else could possibly occupy the pew you are occupying this morning. No one else’s voice can sing the hymns as your voice can, no one else’s prayers carry the specific weight of your prayers, the special intentions of your heart. If you are an usher and you greet someone at the door with a smile and an earnest welcome, no one else was going to do that, actually. Quite possibly, no one else was going to read the readings this morning. There are those of you who serve at the altar, and those who iron the linens who know perfectly well that no one else is going to do what you do, because if you don’t do it, it doesn’t get done. No one else is going to feed the hungry who come to us on Saturday mornings. They would simply go hungry. No one else is providing staples every month for the clients of the Food Cupboard. No one else is going to spend an hour together studying the Scriptures the way you do at Bible Study. No one else is going to pray for peace during Evening Prayer. No one else is going to show up at 7:30 in the morning to kneel in the Presence of God and lift up their hearts. No one else, we know this, no one else was going to unlock the gates of Saint James the Less and try to revive the message of the Gospel there. No one else was going to implore the Holy Spirit to come down and sweep through those gravestones again. No one else was going to care about the kids of that neighborhood the way we have tried to care. No one else. This is the thing about discipleship. No one else is going to do it if you don’t. No one else. But Jesus relies on his disciples for almost everything – even the littlest things! And this year the Stewardship Committee came to me and said, We want to challenge everyone in the parish to give 5% of their after-tax income to Saint Mark’s. Oh! I said. I am not good at math, but I know that giving away 5% of your money is not something a lot of people do. How many people on the committee are willing to do it? I asked. Good question, I thought. Good question, they said. They talked. And I hope they prayed. And they came back to me and said, Every one of us will pledge to do it or try to do it, to try to get to 5% in the next 2-3years. Oh, I said. And, they said, If we do it, we think the Vestry should do it too. Well, I said, you will have to ask them. No one else is going to. So they sent their chairman, Bruce Nichols, to talk with the Vestry and ask them to pledge this year to give 5% of their after-tax income to Saint Mark’s. Oh! the Vestry said. And then they said, OK! Every one of them said they would do it or set it as a goal for the next 2-3 years. Five percent. And, one of them said, if you are already giving 5% or more, then you should aim for 10%! I like that kind of thinking! Even though it means I have to now aim for 10% myself. Yes, I like it. Now why would you give 5% (or 10%) of your money to this church? There are many reasons you might. But as I have tried to suggest, a more fundamental reason you might give 5% is because you know that every single cent you give to this place is a cent that someone else wasn’t going to give, and will accomplish goals that might not otherwise be achieved. You might give because you know that this looks like a church with a lot of money, only because it used to be a church with a lot of money, back when we had parishioners with a lot of money. Oh, where have they all gone!?!? Yes, we have an endowment. It’s smaller than it used to be. It pays certain bills (thank God). And your dollars don’t have to do the things our endowment dollars do, because the things your dollars do, no one else’s dollars are going to do! Do you follow me? And the disciples are “shush-ing” him and he is calling out all the more. And Jesus stops in his tracks. And says nothing to the blind man. Instead he says, to his disciples, “Do something for me that no one else is going to do,” (that part was implied), “call him to me.” And with the help of the disciples – who did something they didn’t even think needed to be done – that blind beggar gets his sight. Now, my brothers and sisters, we have been walking with Jesus. And Lord knows what we have been doing, what kind of foolishness we have been up to on the way. But Jesus has stopped in his tracks. There is something Jesus wants to do in the world. Maybe he just wants some nice person given a warm welcome at the doors of a church on Locust Street. Maybe there are some hungry people he wants to feed. Maybe there is a lovely old church that has been shut down that he wants to open and fill with kids who need a school. Maybe there is someone blind who he wants to give sight to. We have been walking with him. Maybe only since this morning, but anyway, here we are. And Jesus has stopped and stopped us in our tracks. Who else is going to do the things that Jesus is calling us to do, calling you to do, me to do? No one else! No one else is anywhere near as good at doing the things that you can do for Jesus as you are. And no one else is going to give – for the sake of Jesus and his Gospel – what you are going to give. No one else. You have five percent (or maybe this year it is only four and a half); you have a gift to make to this church – you have several gifts, in fact, of your time and your talent and your money – that no one else can or will make. No one else can make the difference that you can. No one else can be the disciple that you can be. No one else can answer Jesus like you can when he stops in his tracks and says, I can’t do this without you. No one else. There is a certain beauty in our willingness to do for Jesus what no one else can or will do, since Jesus did for us what no one else could or would do: he lived his life and gave it on the Cross for our sakes, the forgiveness of our sins; and he forged for us the path to new life in the world to come where he waits for us in glory. No one else could have won the victory that Jesus won for all the world. With thanks to him for doing what no one else could do, will you and I do what we can when he stops and asks us to do what no one else will do? Posted on October 25, 2009 by Sean Mullen.